Jimi Hendrix had everything to prove when he took the stage at the Monterey International Pop Festival in the summer of 1967. A sensation in Britain but unknown in the U.S., Hendrix performed like a man on a mission as he unleashed one of the finest performances in rock history. Throughout his set, he teased the audience, raising the ante with each song he delivered, and when he concluded the show by sacrificing his guitar, the assembled crowd simply sat in stunned silence. His theatrical antics certainly grabbed everyone’s attention, but it was his primordial music, which captured the era’s increasingly weird mixture of violence and sexuality, that has allowed Live at Monterey to endure. Between 1963 and 1965, the times, they certainly were a-changin’ in America. Bob Dylan was changin’, too. The Other Side of the Mirror: Live at the Newport Folk Festival, 1963–1965 is a magnificent document of his transformation from a devotee of Woody Guthrie to an artist whose work stands proudly alongside the great poets of history. Today, it is difficult to comprehend the controversy that surrounded his electric excursions with the Paul Butterfield Blues Band in 1965. The Other Side of the Mirror: Live at the Newport Folk Festival, 1963–1965, however, helps to put it into perspective. It’s impossible to tire of the never-ending nostalgic reflections upon Dylan’s career when archival material that is as insightful as this continues to find its way into the marketplace. The McCartney Years is as comprehensive an overview of Paul McCartney’s solo career as there likely ever will be. Not only does the collection contain 40 music videos, which he made between 1970 and 2005, but it also boasts an abundance of concert footage as well as a documentary that was made to promote Chaos and Creation in the Backyard. In addition, McCartney lends some insight to the process by providing commentary for some of the material. Considering that the set is presented in a widescreen format with 5.1 surround sound, it goes without saying that The McCartney Years has been restored beautifully. Regardless of what it’s missing, the package still provides a remarkably revealing examination of his work outside The Beatles. Charles Mingus and Eric Dolphy’s long-lost concert performance from Cornell University in 1964 is not for the faint of heart. It is an exhausting collection of material that certainly will test the patience of casual jazz fans. Anybody who is up for a challenge, however, eventually will come to appreciate the brilliance that is exhibited on the duo’s aptly titled, two-disc outing Cornell 1964. Throughout the set, songs are pushed and pulled, prodded and poked, and disassembled and reassembled. There are as many moments of pure sonic adventure as there are those of stunning elegance. To put it simply, there is no better jazz album to have been issued in 2007, at least for those with an intellectually curious appetite. There are still those who are all too quick to dismiss Miles Davis’ jazz-fusion and electro-funk experiments, but 30-odd years later, he finally is getting at least some of the credit he always has deserved for his groundbreaking work with Teo Macero. The Complete On the Corner Sessions is the final installment of Legacy’s in-depth examination of Davis’ studio pursuits, and like its predecessors, it tells the story of how this period of his evolution unfolded. Carrying forward the ideas that he had outlined over the course of the preceding few years — from the sessions for In a Silent Way to those that fueled Jack Johnson — Davis increasingly centered his songs around their rhythmic components. He didn’t necessarily abandon his melodies, per se, but he did alter their placement and role within his compositions. In effect, he deconstructed the manner in which jazz traditionally was assembled, and he used the scattered parts to build a new framework for the genre. Like Charles Mingus and Eric Dolphy’s Cornell 1964, Davis’ The Complete On the Corner Sessions will test the limits of some fans, while others will thrive in the openness of his explorations. 6) The Beatles - Help! Help!, The Beatles’ second feature-length film, is a riotously campy affair that ought not be nearly as good as it is. Somehow, the movie managed to capture each band member’s distinctive personality while also telling a cohesive, if not exactly plausible, tale. Over the course of Help!, the group is propelled from one scenic venue to the next, and the whole picture is meant primarily to frame the Fab Four’s latest batch of songs. The visual imagery has never been as striking as it is here, nor has the soundtrack had as much pizzazz as its does in its new DTS surround sound incarnation. At the time that Help was made, The Beatles’ best work was still to come. Nevertheless, it’s delightful to hear the group’s wealth of ideas as they strain for release within songs like Ticket to Ride and You’ve Got to Hide Your Love Away. Considering the abundance of hits that he enjoyed, both on his own and in fronting The 4 Seasons, and given the immense influence that he and his outfit have had on popular culture, it’s amazing that it has taken this long to put together a comprehensive retrospective that is devoted to Frankie Valli’s work with multi-instrumentalist and songwriter Bob Gaudio. Thanks to the success of the Broadway musical Jersey Boys, this long-overdue endeavor has become a commercially viable proposition. Over the course of its three CDs, Jersey Beat: The Music of Frankie Valli & The 4 Seasons charts the ups and downs of their collaborative careers. All of the familiar hits are included on the set, of course, and there are enough other tracks that have been woven into its architecture to fill in the gaps in Valli and Gaduio’s history. A bonus DVD compiles 12 appearances that Frankie Valli & The 4 Seasons made on a variety of television programs. Taken in full, the collection explains why the outfit is so important to understanding the changing terrain of pop music. Nirvana’s Unplugged in New York contains the original program that aired on MTV in December 1993, but it’s the full-length, unedited version, which also is featured on the set, that tells the real story. Wisely, it’s this latter footage that begins playing as soon as the DVD is dropped into the player. As any band that suddenly finds itself at the forefront of the music business can attest, there’s a lot of stress that comes with achieving blockbuster sales figures. 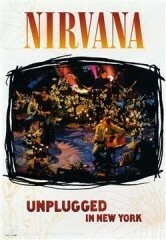 Unplugged in New York captures one of those rare moments when all of the outside pressures facing Nirvana had melted away, thus allowing the group to focus entirely on its music. Running through an odd assortment of material that merged David Bowie and Lead Belly tunes with original compositions, Nirvana settled comfortably into a show that was anything but routine. This might not be the ensemble’s finest performance, but it certainly is its purest. The Monterey Jazz Festival celebrated its 50th anniversary in 2007, and to honor its legacy, the event partnered with the Concord label to begin issuing a series of archival recordings that have been made over the past half-century. The first batch of releases includes five albums, each of which was devoted to a single set by one of the genre’s greatest legends: Sarah Vaughan from 1971, Dizzy Gillespie from 1965, Thelonious Monk from 1964, Miles Davis from 1963, and Louis Armstrong from 1958. The years are, of course, as important as the performers — Louis Armstrong’s star was fading, for example, while Thelonious Monk’s profile was on the rise — but in all cases, the performances are dynamic and intriguing. Over the course of the past decade, the market has been flooded with archival material from the Grateful Dead. Some would argue that it has been saturated. Nevertheless, it all came to a screeching halt in 2006 as the band made the transition to its new partnership with Rhino. As 2007 dawned, Live at the Cow Palace: New Year’s Eve 1976 was unveiled. It remains the best of the three forays that trickled to store shelves over the course of the year. (The others were the nearly forgotten Three from the Vault and the new, compilation-oriented series Road Trips, Volume 1). Live at the Cow Palace: New Year’s Eve 1976 might not be the best representation of the Grateful Dead in concert, but as is always the case, it does contain some extraordinarily mind-boggling moments. Although the band’s output hardly approached the urban jazz of Miles Davis’ work during On the Corner, there are some similarities in the way in which the two groups utilized melody lines, tossing them from instrument to instrument over the course of a groove. Naturally, the best moments on Live at the Cow Palace: New Year’s Eve 1976 come during the meaty jams that fuel Eyes of the World and the pairing of Help on the Way with Slipknot. Nevertheless, long-running concert staples such as Wharf Rat, Morning Dew, and Chuck Berry’s Around & Around also are tremendously satisfying.